Manufactured by J.R.L. Ltd. Birmingham. 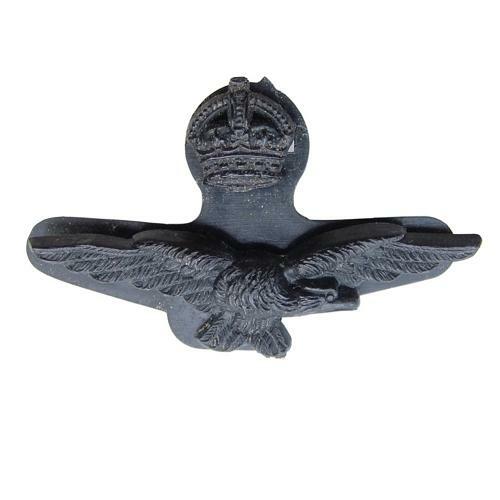 Economy black plastic badge for the officer rank field service cap. Produced in three pieces with separate eagle, King's crown and backplate. The eagle and crown are fitted with flexible metal 'blades' of the type that could be replaced if broken (they slide into place rather than being incorporated into the mould when manufactured). Excellent used condition. Rare to find. Stock code U23011.